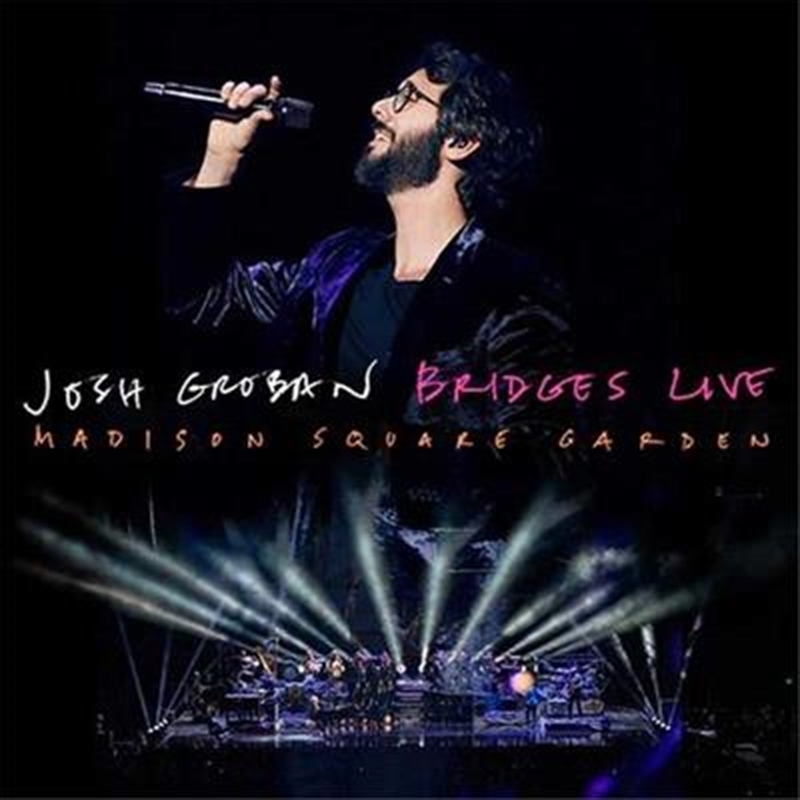 Relive all of the exciting, tear-jerking and even comedic moments from the show, shot by famed director Joe Thomas and recorded live from the final US stop of his sold-out 2018 Bridges Tour at the iconic Madison Square Garden. The show includes a mixture of new songs and classic hits as well as duets with Tony-Award winning, multi-platinum recording artist Idina Menzel along with a special appearance by Sugarland’s Jennifer Nettles. The live set features Josh’s band accompanied by a choir and orchestra and kicks off with Bigger Than Us from his newest studio album Bridges. Followed by the 2008 hit You Are Loved (Don’t Give Up) and another new track, Won’t Look Back, Josh performs an electrifying mix of beloved classics, new songs, and special covers, including the standard Pure Imagination, Billy Joel’s She’s Always A Woman, and Bring Him Home from Les Miserables. Idina Menzel joins Groban for two captivating duets, including the angelic Lullaby and the emotionally-charged Falling Slowly from the movie Once. At this performance, Groban was also joined on stage by songstress Jennifer Nettles for a remarkable duet of 99 Years before he closed his set with a stunning rendition of Simon and Garfunkel’s Bridge Over Troubled Water. The accompanying live CD features fan favorites from the DVD and will also include a special, brand new bonus track, She Moved Through the Fair, recorded live from Dublin on the Bridges world tour.